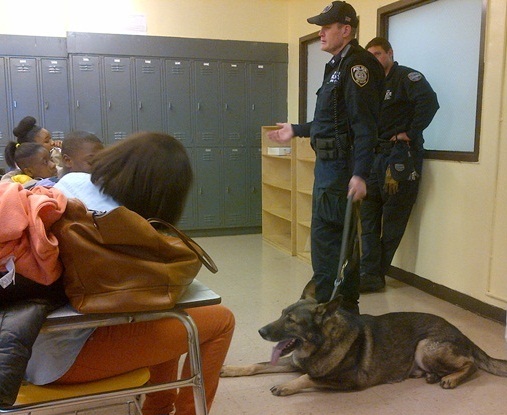 MTA Police Canine Unit talks with High School for Legal Studies students. The Justice Resource Center (JRC) provides services for schools to start a Law Enforcement Academy enabling students to study a comprehensive career and technical education program. The instructional program services include curriculum, course sequences, professional development and technical support at the school site. Included in a Law Enforcement Academy is the opportunity to participate in law-related applied learning activities such as law enforcement career fair, a crime scene investigation course at John Jay College of Criminal Justice, and interaction with members of the law enforcement community. 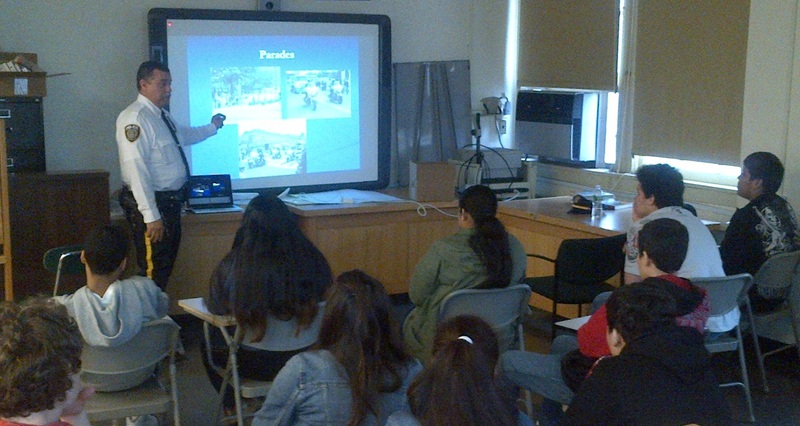 Through JRC services, students are exposed to careers in law enforcement (police, fire, homeland security, FBI, etc.) work with experts in the field, and prepare students for post-secondary education or career readiness. 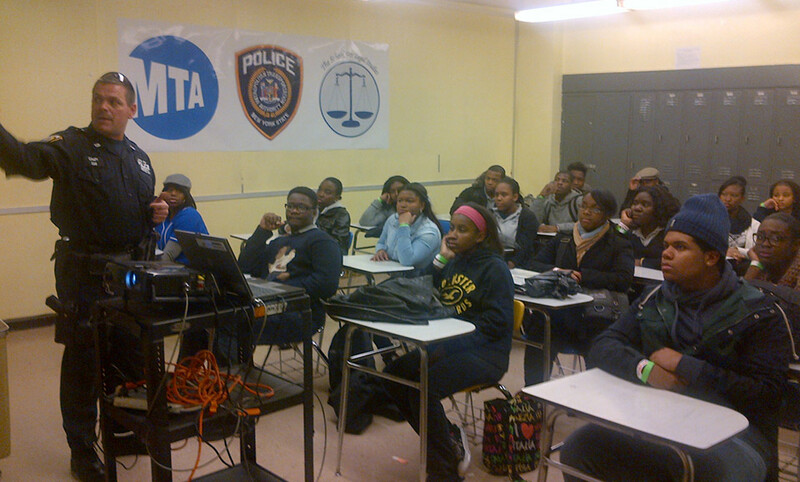 Bronx HS for Law & Community Service students learn from the MTA officers. Since Fall 2015, John Jay College of Criminal Justice offers LEA students a potential potential career pathway into the NYPD called APPLE Corps. Students are recruited from LEA high schools to John Jay or participating community colleges, and the program supports students who are looking to work in the NYPD, once they meet the age requirement. APPLE Corp has a police cadet academy built into the program.